The Qatari government reportedly paid $1 billion to Iranian Shia militants and the Tahrir al-Sham terrorist group (a Syrian affiliate of al-Qaeda) to release the members of the nation’s royal family they were holding hostage. MOSCOW (Sputnik) — A total of 26 members of the Qatari royal family were allegedly locked up by the Kataib Hezbollah militants in Iran after they were kidnapped in 2015 while on hunting trip in Iraq, the Financial Times newspaper reported Monday, citing sources on both sides of the hostage deal. According to the newspaper, after almost two years of negotiations, Doha allegedly decided to pay some $700 million to the Iranian Shia militants groups, and between $200 million and $300 million was paid to the Islamist groups in Syria, mostly to the Tahrir al-Sham. Qatar’s deal with militant groups angered its neighbors in the Persian Gulf. 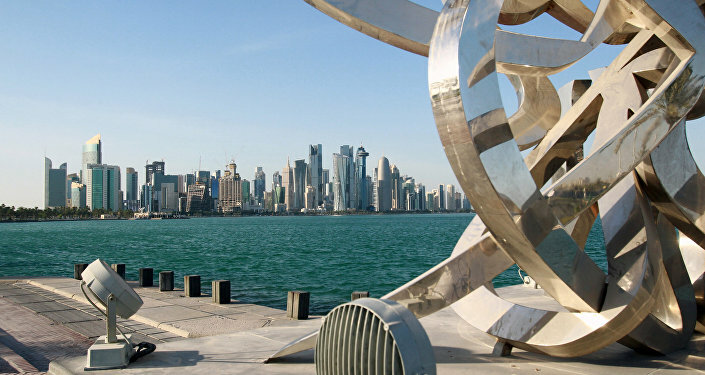 The discontent ultimately lead to most of Gulf nations to sever diplomatic ties with Doha on Monday, as they considered Qatar's payment an excuse to finance extremists and terrorists in the region, the newspaper reported. The Financial Times added that although this particular case was not the only reason for the escalation of the diplomatic rift on Monday, it certainly became one of the final straws for the Gulf states; their dissatisfaction with Qatar paying money to the Iranian groups, and strained relations with Iran over differences of positions on a range of regional conflicts were other factors that inevitably led a diplomatic crisis. On June 5, Bahrain, Saudi Arabia, Egypt and the United Arab Emirates severed diplomatic relations with Qatar. The states accused Qatar of supporting terrorist groups, particularly the Muslim Brotherhood terrorist movement, as well as of interfering in other countries' domestic affairs. Libya made a similar decision. Yemen cut diplomatic relations citing Doha's links with Houthis. The Maldives took the same step, citing extremism and terrorism concerns. The row between the countries intensified one week after the Arab Islamic American Summit in Riyadh, when the Qatari news agency posted a speech supporting the building relations with Iran on behalf of the country's emir. Afterwards, the official representative of the Qatari Foreign Ministry said that the agency's site was hacked and the emir's speech was published by hackers and had nothing to do with the Qatari leader.